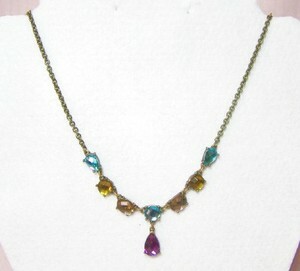 This necklace has faux gems with a burnished goldtone chain. The gems are blue, smokey green, smokey crystal and the tear drop is purple. It is 17" long with a 3" extender. It looks very antique and is very pretty.